That's me! 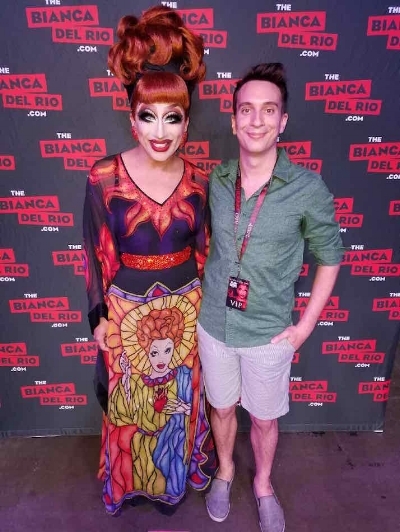 Well, not the amazing Bianca Del Rio, but the other guy. I'm a writer, a geographer, and a photographer. I have an MFA in Creative Writing & I'm working on a Ph.D. in Geography. If you want to get in touch regarding my writing or photography, or you have any questions or comments regarding The Imaginaries or my videos, please contact my personal email. Any messages regarding teaching, research, or academics should go to my university address. Also! The gorgeous watercolor illustrations around the site were created by my good friend (and podcast co-host) Kend. Check me out as tonycolellaphoto on Instagram. Be warned: most of these images are NSFW. I’m deviance_engine on Twitter, though I’m not very active.